You are here: Home / General / Sponsored Posts / Christmas Idea: The Chest R Desk for Kids! 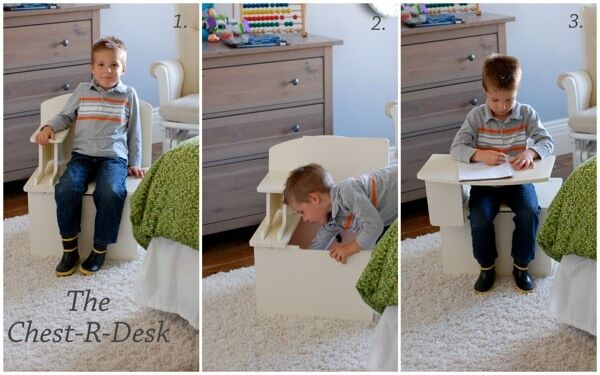 Christmas Idea: The Chest R Desk for Kids! Organization has always been at the top of my list of household priorities. I’m not a clean freak by any means, but I like when everything has a place, or at least is out of sight! We all know how much “stuff” we accumulate for our kids, so keeping it manageable can truly be a challenge! I was recently introduced to this fabulously smart item called The Chest R Desk. It’s a multitasking piece of furniture made specifically with your kids (aged 3-12) in mind. Not only is it a cute piece of furniture your child can call their own, but it can also be converted into a desk for homework or fun art activities! The best part though, the part for the organizer in me, is that it also doubles as a storage chest! 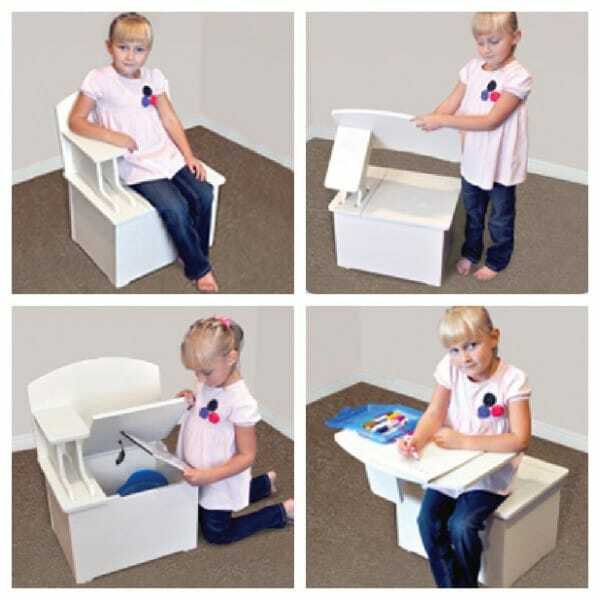 Kids can keep small toys, a container of crayons and markers, their coloring books, and more in the handy seat-chest. With the holiday season upon us this would be a fabulous addition to your shopping list. The Chest R Desk is very reasonably priced at under $60.00 and can be personalized with decals they’ll include for you. It’s even small enough to move from room to room. Kids can use it in their bedroom or you can bring it out to the living room for them while you are going about your day’s activities. Check them out and give them a “like” on Facebook and watch the demo video below! If you would like to order a Chest R Desk for your child, go their website and click the red “add to cart” button! I wish we’d had something this fun when my kids were still small! With as much coloring and drawing as they did, I know they would have loved it. This is a sponsored post for which I was compensated. All opinions are 100% my own.